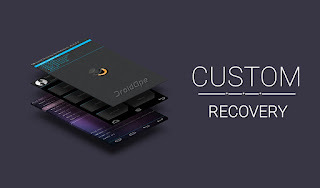 Custom recoverys is the modded recovery that added features that can use to backup,restore,install roms and tweaks. What is function of this Custom Recoverys? Custom recoverys can fix your phone in bootloop state once your phone damage from installling unwanted apps. can create and restore NANDroid backups. Then you can restore your backup with ease like the restore point in the Windows desktop. You can install Custom Roms. Which the system UI and tweaks added in the Custom Roms. What is list of Custom Recoverys? TWRP (Team Win Recovery Projects) is also one of the famous custom recoverys with touch and additional features created by the group of Sir Yuweng. Philz Touch one of the custom recoverys with lot of features too. custom recovery compatible for cm flare s4?